This information is also available from Young Living Essential Oils, as well as the helpful links below. 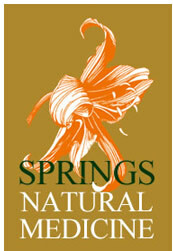 Springs Natural Medicine uses specific essential oils for individual conditions. These oils can be used in many different way topically, on acupuncture points and energetically. Contact us today for more information and to order or purchase pure essential oils. Essential oils, known as nature’s living energy, are the natural, aromatic volatile liquids found in shrubs, flowers, trees, roots, bushes, and seeds. The distinctive components in these oils defend plants against insects, environmental conditions, and disease. They are also vital for a plant to grow, live, evolve, and adapt to its surroundings. Essential oils are extracted from aromatic plant sources via steam distillation, and are highly concentrated and far more potent than dry herbs. Historically, essential oils have played a prominent role in everyday life. With more than 200 references to aromatics, incense, and ointments throughout the Bible, these oils are said to be used for anointing and healing the sick. Today, the oils are used for aromatherapy, massage therapy, emotional health, personal care, nutritional supplements, household solutions, and much more. Young Living, the leading provider of essential oils, offers more than 300 essential oil singles and blends. All Young Living essential oils meet the YLTG standard. This means that every essential oil Young Living distills or sources has the optimal naturally-occurring blend of constituents to maximize the desired effect. Only YLTG essential oils should be used for the primary methods of application, which include inhalation and application.